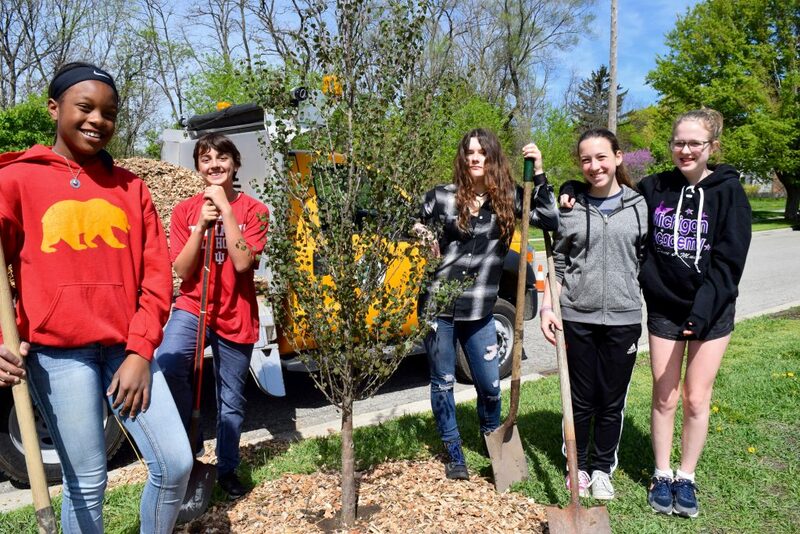 Tree City USA is four trees (two tulip trees and two katsuras) more beautiful now that Slauson Middle School students have helped plant the trees along Crest Avenue. 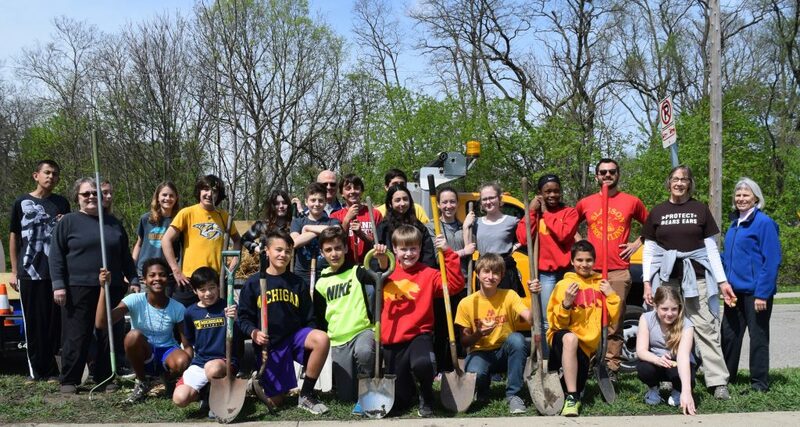 The city of Ann Arbor’s Elizabeth Dean Fund Committee commemorated Arbor Day with a tree planting with students from Slauson Middle School today. 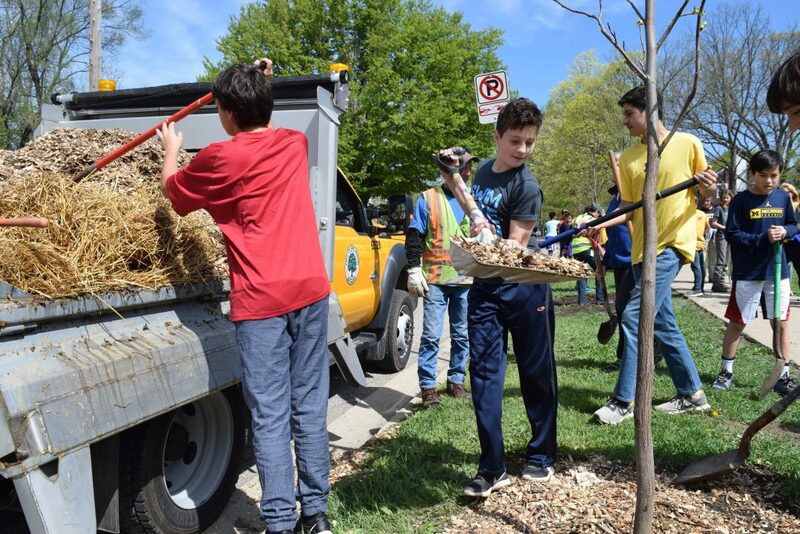 The committee is responsible for reviewing public tree planting and maintenance projects and making recommendations to Ann Arbor City Council on allocation of funds from the Elizabeth R. Dean Trust. The city is celebrating its 36th consecutive year as Tree City USA, a designation given by the Arbor Day Foundation. The Tree City USA program recognizes communities that invest in and manage their urban and community forest resource. 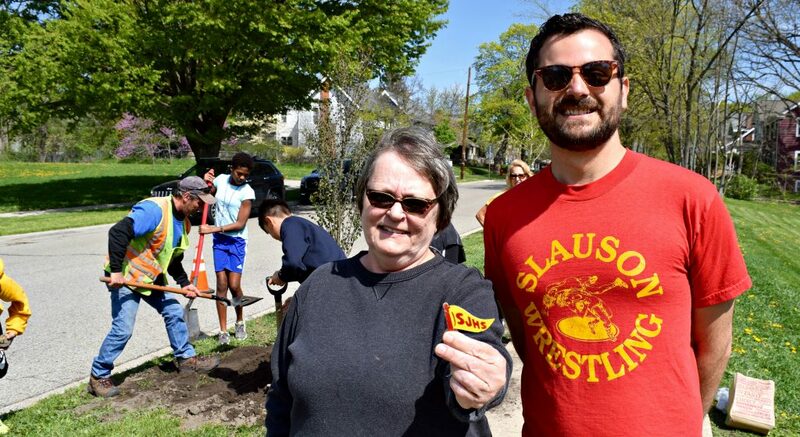 As members of the Elizabeth Dean Fund Committee, Slauson grads Sue Lemble Perry (’65) and Ben Muth (’99), helped students plant four trees along Crest Avenue. Muth’s old wrestling shirt was a bit tight, but technically, still fit. He is chair of the committee. Arbor Day was first celebrated in Michigan in 1885. In 1966, Governor George Romney proclaimed the last week in April as Arbor Week and the last Friday in April as Arbor Day. Recognizing the importance of trees to the environment and how much their beauty enriches our lives, Governor Rick Snyder has continued this tradition in the footsteps of all the Michigan governors since Romney.